This weekends meet is the Maurice Greene Invitational hosted by Oaks Christian High School. There are as many as 40 schools expecting to attend. If you plan to come and cheer on Buena athletes, there is a $5.00 entry fee for all spectators. Please more general info below. Meet start time is 8:30. 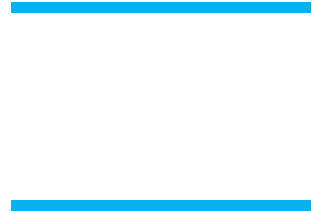 Buena runners need to be at Buena by 6:15. Spike Length: 3/16” pyramid spikes. Participants without appropriate spikes will not be permitted to run in spikes. Warm Up / Team Area: The middle school synthetic grass baseball field will be available for warm up and team canopies. Please leave the stadium available for spectators. Limited Space!! Consistent with most track events canopies in the stadium will only permitted in top rows. These spaces are first come first serve. Infield for competition only: Please, keep athletes not competing off the infield. Parents, fans and coaches will not be permitted on the infield. Reporting for Events: Field Events: With the event officials. Bus Loading & Unloading: Please use Gate “F’ at the middle school for loading and unloading. This is the closet drop off for canopies on the warm up field. Restrooms: The stadium restrooms will be available. These can be used for dressing rooms. Please, supervise your athletes. DO NOT let athletes wander about the campus.